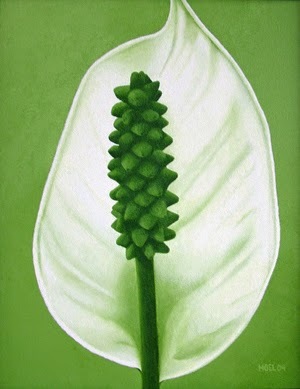 A close up of a Peace Lily, symbolizing peace. 16″x20″ original acrylic painting on 3/4″ wrapped canvas is no longer available for sale. Prints and novelty items are available through Zazzle (use the widget below to be redirected).